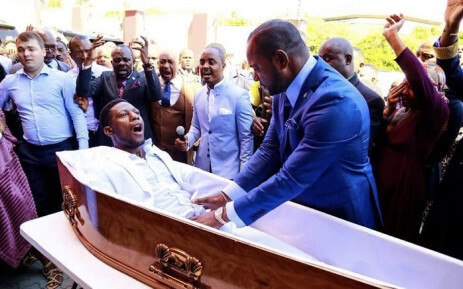 Home Viral Controversial South African Pastor Alph Lukau performs a ‘Resurrection’. 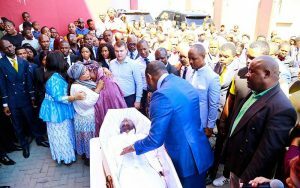 Pastor Alph Lukau raises man from the dead. Pastor David Owuor was in the headlines recently after claims that he had resurrected one of the worshippers, Mama Rosa. Meanwhile, It’s a Sunday morning and a healing and deliverance miracle service is on at the lleluia Ministries International church, north of Joburg, lead by Pastor Alph Lukau. Wheelchair-bound congregants are rising up and walking, those who struggle to walk and use crutches toss them aside and start running. But something much bigger is about to hit. Questions from the public have varied: Is this real? Why did the man not look like someone who’d been dead two days? Where is his death certificate? Why was he not immediately tended to by a health care professional? The funeral parlour which brought the coffin to the church, Kings and Queens Funerals, were duped into being part of the spectacle. 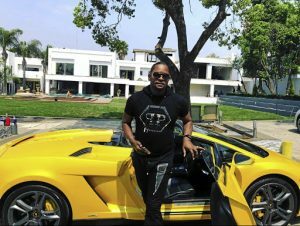 The popular South African pastor is described by his followers as a man of God that has the ability to heal any kind of illness is also claimed to be the richest pastor in the world following his posh lifestyle. Lukau and his church are yet to publicly respond to claims that the miracle was staged. Next articleThe First Ever Valentines Cadbury Reverse Speed Dating!!! DETAILS, PICS AND HOOK UPS!! What about Pele the Brazil legend. Bluetooth Chat: Now You Can Chat Without Using Data or Line!! Prince Harry and Meghan Markle Expecting a Baby!! !